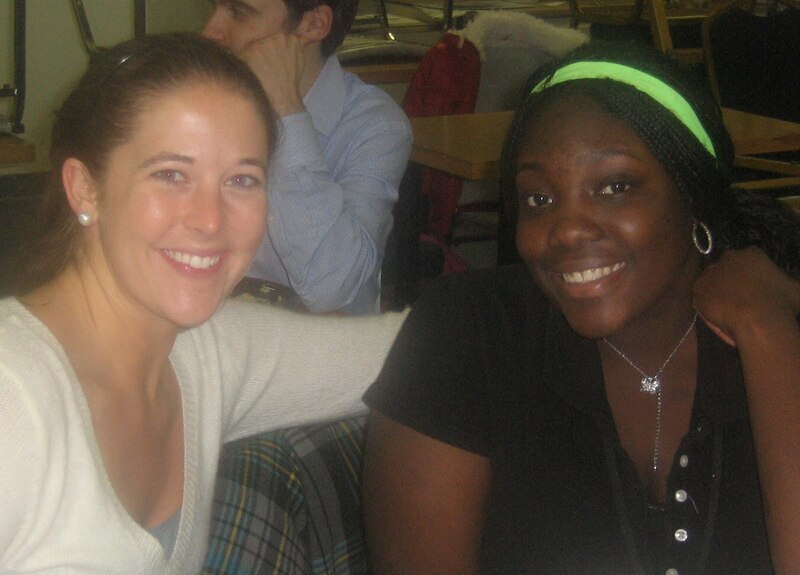 Kiera Kelly has been mentoring Marquita Fisher for six years! 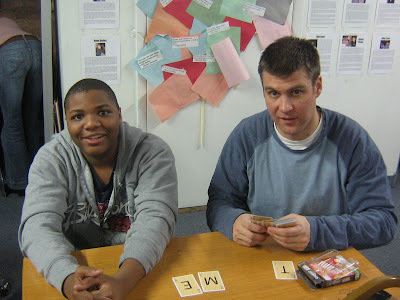 – first at Cabrini Green Tutoring Program, and, for the last four years, at Cabrini Connections. She is originally from Evanston, Illinois, so she has lived in the Chicagoland area for most of her life. She likes Evanston because it is economically and racially diverse which provided her with a “real-life snapshot” growing up. In Evanston, there is only one public high school – it’s good and it’s huge – but it brings lots of different people together. LaKeithia Davis is in just her third month at Cabrini Connections, but she already stands out as a marvelous mentee. She has great attendance; she communicates well; and she always does her SVHATS. Even though her first visit to our program was kind of a setup (Her mom told her it was something else), she loves it. Her mentor is three-year-veteran Frances Kwee who she works with on Thursday nights. She says Francis gives good advice and knows when she needs help, even when she’s afraid to ask for it. 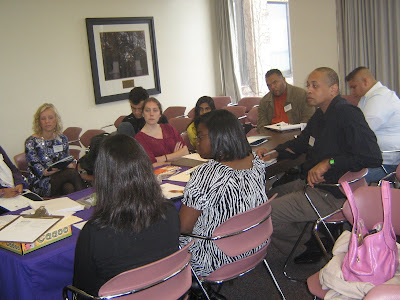 Listen to what Tutor/Mentor Program Leaders say about the work they do and why they come to the Tutor/Mentor Conference. The next conference will be held this Thursday and Friday, May 27th & 28th, at Loyola University Chicago's Lake Shore Campus. For complete information, including an agenda, a list of speakers, instructions for registration, and more, visit http://www.tutormentorconference.org/. Thank you! 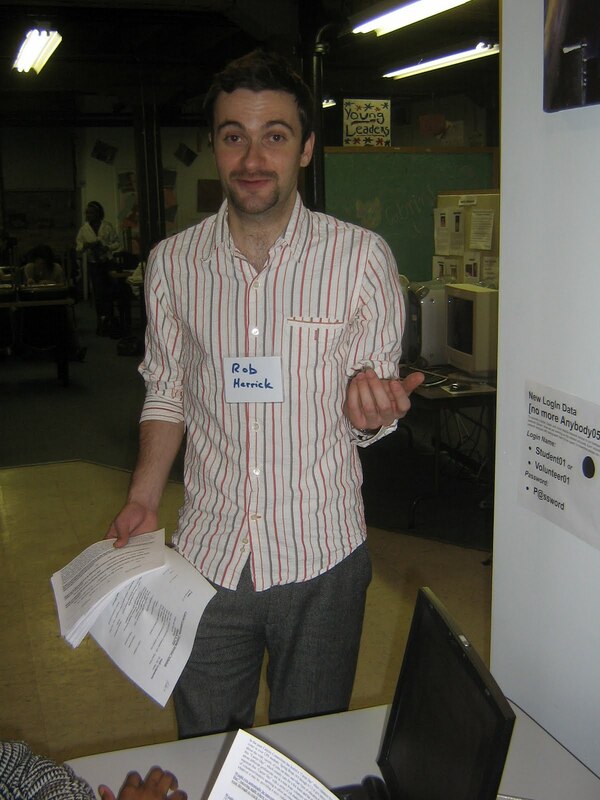 Rob did eventually leave Chicago to study theater at Skidmore College in upstate New York, however, in his second year he switched majors to government and international studies. Rob says Skidmore is a good liberal arts college which “helps you with critical thinking and problem solving that one could apply to everyday situations.” His tip for high school seniors who are entering college: though it is important to try a lot of new things, he says, “Find something you know you like to do and focus on doing the best you can at that.” In other words – follow your passion! Wednesday night mentee Patricia Williams is a 7th grader at Jenner Elementary Academy of the Arts. 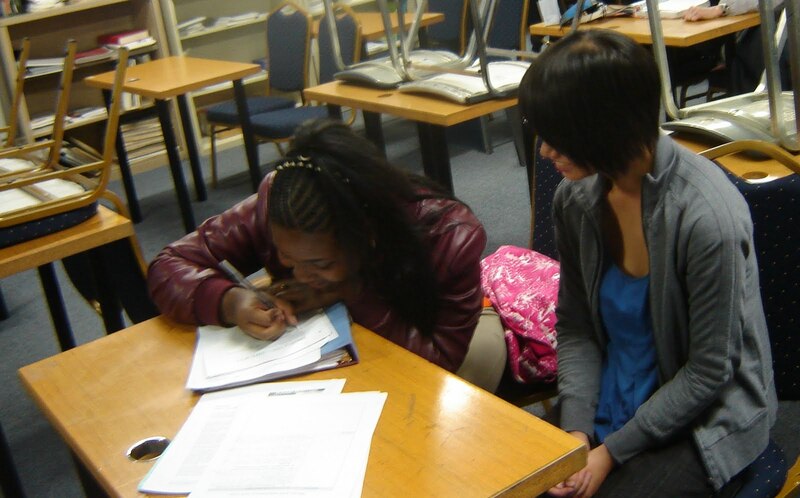 She comes to Cabrini Connections to get help with her schoolwork, improve her grades, and make friends. She heard about our program through her older sister, Dominique Dobbs, who graduated last year. Her younger sister, Olivia Williams, attends now, also on Wednesday nights. Patricia’s mentor is Christine Nielsen, who used to work with Dominique. She says Christine likes talking to her and helping her with reading. In fact, reading has become one of Patricia’s favorite subjects in school, along with art. She likes to draw and create and she looks forward to taking more art classes in high school – hopefully Lincoln Park High School. 1:48 Performs "The City is Fallen"
Rhymefest spoke for almost an hour and a half, capturing the attention of about 25 students and their mentors. At one point, he said fellow hip hop artist Rick Ross recently asked him, "Would you rather be loved or would you rather be feared?" Rhymefest solicited responses from the students before providing his own. Using the example of Martin Luther King, Jr., he said, "True love sometimes inspires the greatest fear." He went on to discuss radio and say, "Music is constantly telling us not to love ourselves." Our 31st biannual Tutor/Mentor Leadership & Networking Conference will be held at Loyola University Chicago's Lake Shore Campus on Thursday and Friday, May 27th and 28th. Each spring and fall I am continuously impressed by the lineup of workshops and speakers, and this year is no exception. Please visit our web site for a complete rundown of events and how to register. Whether you are directly involved with tutoring and mentoring, or academia, or if you just like to listen and learn and discuss, you are bound to have a great time. Thank you! 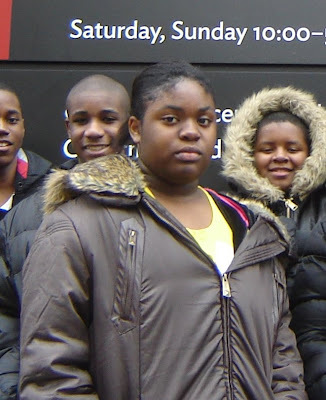 15-year-old Mylana Williams is the middle child of 27 siblings! She has 17 brothers and nine sisters. She says her family likes to talk, have fun, and fight in a playful way. Her mom’s side is from Birmingham, Alabama, and her dad’s side is from Atlanta, Georgia. Mylana has always lived in Chicago which she loves because of its diverse population and easy transportation. 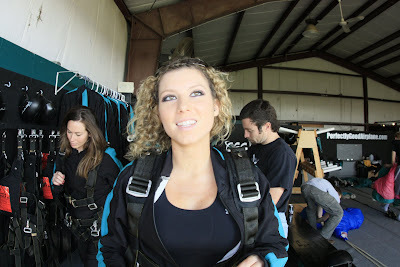 She enjoys meeting different kinds of people and not being restricted without a car. When she’s older she wants to move to California, New York, or Atlanta to pursue a career in acting. She says the key to acting is, “Find out who you are first before you try to be someone else.” That’s great insight! 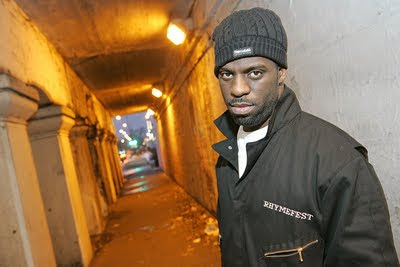 I am pleased to announce that one of my favorite hip hop artists, Che "Rhymefest" Smith, a native of Chicago's south side, will visit next week's Wednesday night tutoring session. And he's not just coming to speak for a few minutes; he will run a full, classroom-style workshop! He will facilitate a language arts activity, a freewriting exercise, and a discussion about goals and dreams, and he will top it all off with a freestyle! I can't wait! All of our students are big fans of hip hop, and this activity should be a good way to capture their attention in entertaining fashion, but, also, to make them think about life choices and their futures. I admire Rhymefest's willingness to participate in community forums with youth. He is a great example of an industry figure - in this case, music - using his or her talents to support and promote quality tutoring and mentoring programs. If figures from every major industry can think of ways to match their financial and social capital with programs like Cabrini Connections, future generations (the young people we serve now) will all be better off. Video & Filmmakers Club and I will film the event, so look forward to a full recap next week. Kasey Brink is a Wednesday night Volunteer Coordinator at Cabrini Connections. This is her first year in the role, but she was previously involved with us as leader of Tech Club. She likes her new position because, “As volunteer coordinator, you get to know a lot of people, not just 1 or 2 or 5 students in a club.” But that doesn’t mean she’s still not involved in a club! Cabrini Connections student Patrick Mitchell is an 8th grader at Franklin Fine Arts Center, a Chicago Public Schools Magnet School. He was named to the honor roll in the first and second quarters of this year. His favorite subjects, social studies and math, are also his least favorite subjects. He’s really good at them, but that makes them too easy. Patrick likes a challenge.